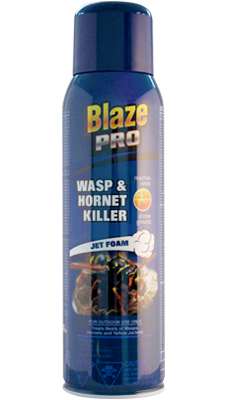 Blaze Pro® Wasp & Hornet Killer features a unique foam spray that works to blanket Hornet & Wasp nests. Reaches nests up to 2.5m. Directions For Use: SHAKE WELL BEFORE USE. 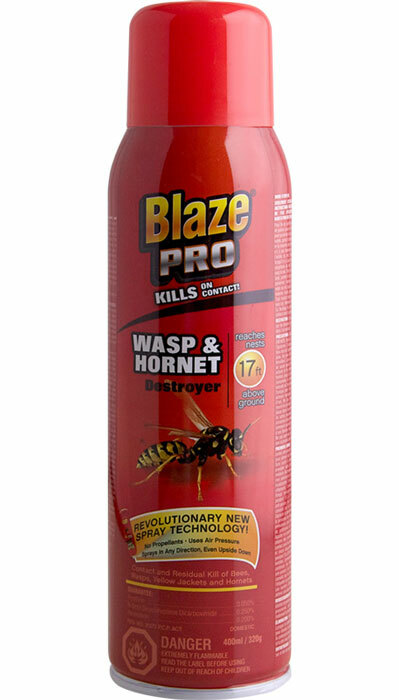 For Control of Exposed Nests of Wasps, Yellow Jackets, and Hornets: For use outdoors only to treat nests under eaves, near window frames, doorways, carports, picnic areas, and outdoor play areas or anywhere nests are built. Not for use against nests located underground or in voids. 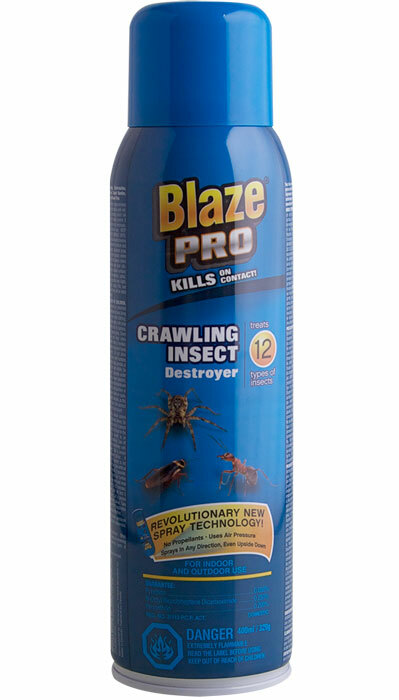 Spray nest at sunrise or sunset when insects are least active. 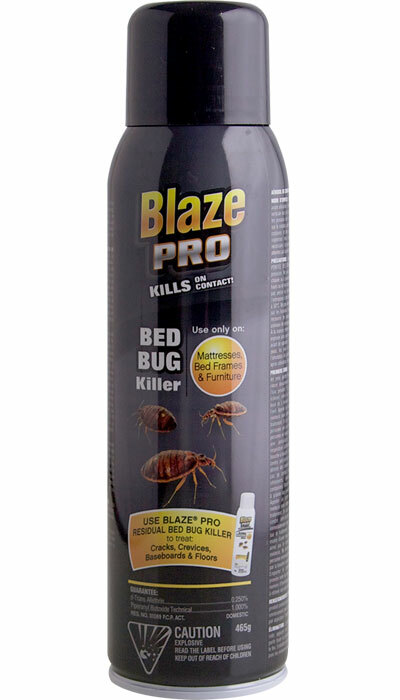 Use only in well ventilated areas. Ensure bystanders are not present during application. Stand a safe distance from the nest [1 – 3 meters]. Do not stand directly underneath. Shake can well before each use. 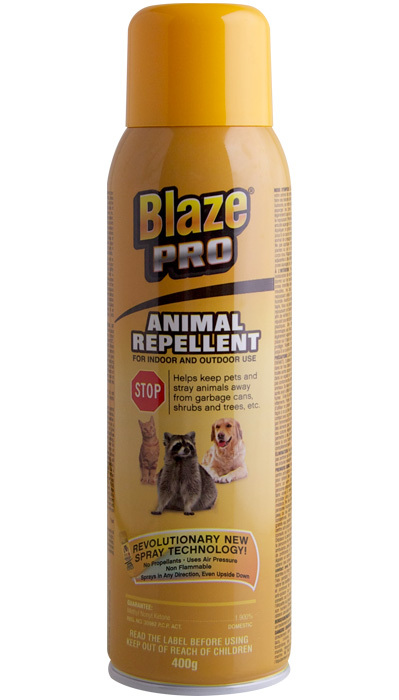 Hold can upright and spray away from person. Push button to spray. Aim actuator at the opening in the nest and spray until soaked. Then spray the rest of the nest until it is saturated. Saturation of the nest is required for control. Observe for activity for at least 24 hours and treat again if necessary. DO NOT reapply within 24 hours of the previous treatment. Observe the nest for pest activity for at least 24 hours. If no pest activity is observed after 24 hours, the nest may be removed.